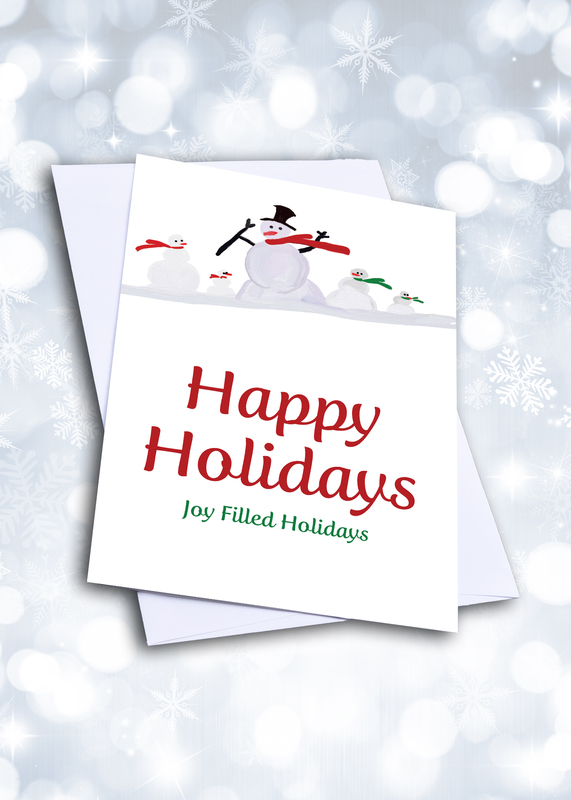 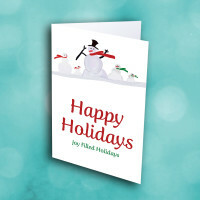 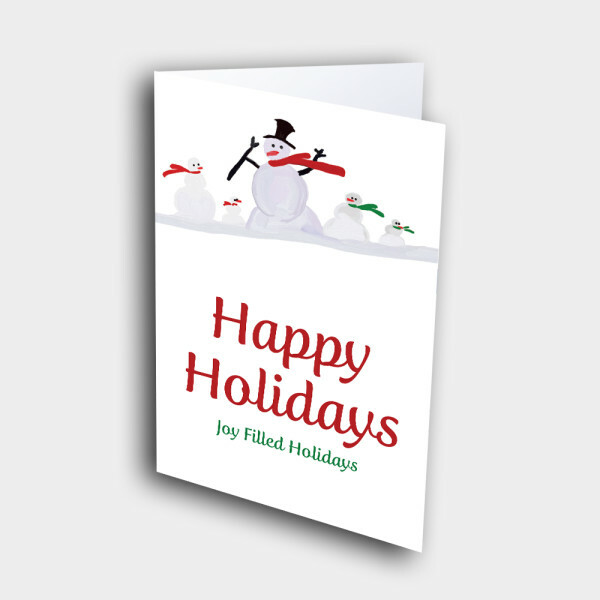 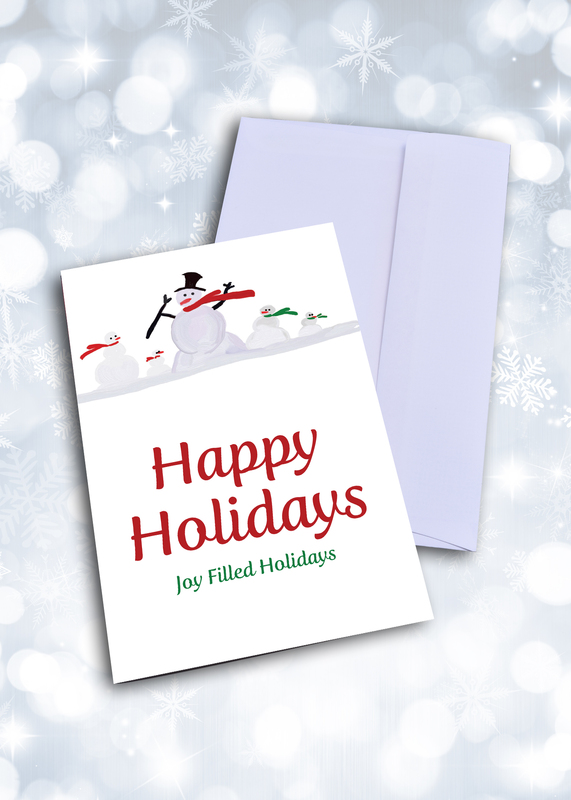 Send this simple snowman holiday card, to share some heartfelt holiday greetings. 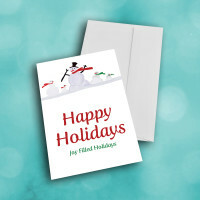 This sweet and simple holiday card is perfect to spread some holiday cheer with those around you. 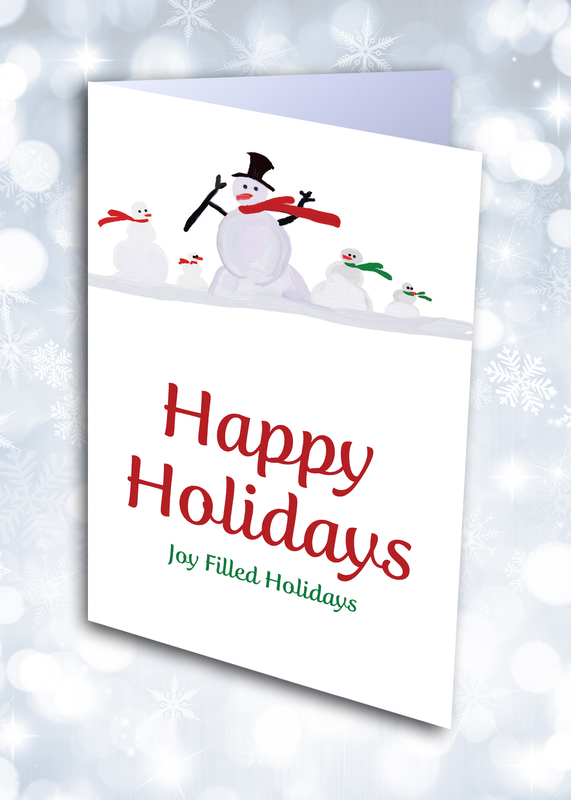 The front features a small band of arsty snowmen, painted atop the bright and festive greetings. 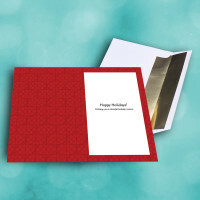 The deep-red, diamond-patterned inside displays the classic message; add personalization to this message to give the card your individual touch.